While Growers Supply can outfit commercial operations with some of the most advanced growing structures and equipment, Growers Supply hasn’t overlooked the passion that backyard growers and hobbyists bring to the industry. A GrowSpan hobby greenhouse from Growers Supply gives the backyard grower a quality greenhouse that they can be proud of. These GrowSpan structures are built with the same quality of other commercial structures, but come in a compact design that can fit in and compliment any backyard. GrowSpan hobby greenhouses allow backyard growers to create a protected and controlled growing environment, ensuring the finest plants. Greenhouse Specialists work with backyard growers to help them find the structure that is perfect for them. Hobby greenhouses from GrowSpan provide a versatile growing environment where growers can produce a wide range of crops in their own backyard. Although they’re designed for backyard use, they can still be outfitted with all the professional accessories that maximize crop quality and yield. Utilizing environmental control accessories allows backyard growers to produce crops they wouldn’t normally be able to, and these accessories enable backyard growers to truly grow like a professional. As a one-stop shop, Growers Supply can provide all of the accessories that growers need for their structure. Greenhouse Specialists are also available to help outfit greenhouses with the appropriate accessories. With Growers Supply, finding the ideal GrowSpan hobby greenhouse for any grower or any property is a simple and quick process. 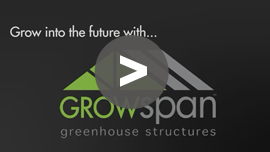 Call or Request a Quote today to find out how a GrowSpan greenhouse can meet your needs.